It’s been just over two years since I took this shot. And in two years, I bet there is half a dozen new, or semi-finished, buildings that would be in this shot if I took it from the exact same place today. Bahrain’s skyline a mashup of skyscrapers in all kinds of shapes, minarets, half-finished buildings, and small apartment blocks. There are so many half-finished buildings. In fact, the three in the far left of this shot still aren’t finished. They weren’t finished when I first started visited Bahrain back in 2013! 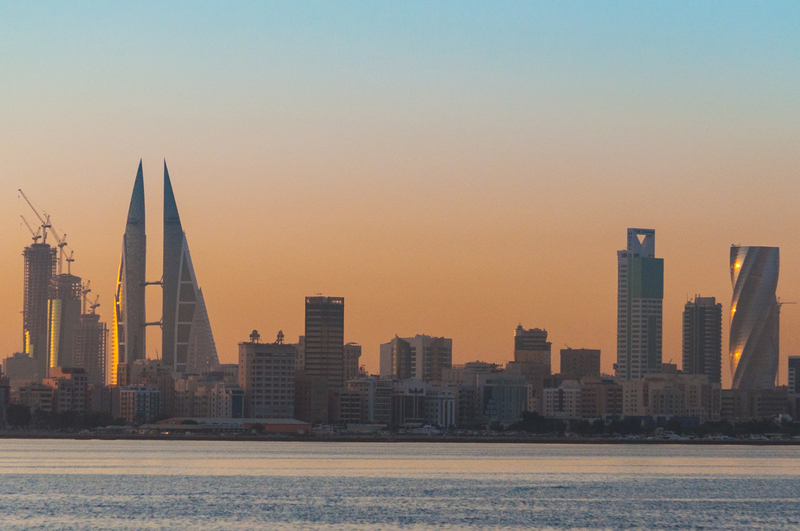 Thinking back to that first time I came to Bahrain, did I expect Manama to have this skyline? You know, I don’t think I had any expectations whatsoever. But I certainly didn’t imagine this city to have a twirly drill-bit shaped building or one with propellers in the middle of it. That’s probably a good way to sum up my experience of living in Bahrain, so far. No expectations and full of surprises—both good and bad.